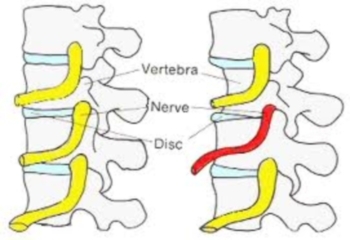 If you are suffering from a pinched nerve in your neck or your back, you In are most likely in pain. More so than the pain, the issue with a pinched nerve is that it prevents you from partaking in your everyday normal activities. In this article, we will explain how to treat a pinched never in either your neck or your back in order to alleviate the pain. There are a number of options which include the use of home remedies, medication or other devices such as neck and upper back traction. This article will not focus on medication. 1. The first step is to pinpoint the exact location of the pain. For some treatments, you need to know exactly where the pain is located. Numbness, stinging and tingling are all symptoms that allow you to identify the location of the pain. 2. It is imperative that you do not put additional strain on the pinched nerve during the healing process. By putting additional stress on the pinched nerve, you are only delaying the healing. Therefore do not partake in physical activity such as weight lifting or playing sports which will put pressure on the nerve in your neck or back. 3. While point 2 specifies that you do not want to put additional strain on your pinched nerve, you should still keep the rest of your body active by doing very light aerobic exercise such as walking. Light aerobic exercise will increase the circulation of blood and oxygen in your body. The increased blood flow and oxygen production are healing aids which will benefit the pinched nerve. 4. Employ the hot then cold method to relax your muscles. Apply heat to your pinched nerve by means of either a hot shower or a heat pad. This will relax your muscles and increase blood flow. Follow the heat by putting an ice pack on the pinched nerve as this will soothe your muscle. Repeat this application every 2 hours or so for a few days. 5. A hot oil massage by a professional can do wonders for a pinched never. Those professionals who have experience treating pinched nerves know specifically how to massage the area in order to treat the nerve. They will put additional pressure to relieve the muscle and nerve stress. A hot oil massage session or two can be a difference maker. 6. Watch your nutrition intake. Most people do not make the link between nutrition and pain. Some people suffer from pinched nerves due to a calcium deficiency therefore upping your calcium intake can help alleviate pain (Drink that extra glass of milk!). For others, foods with a high acidic content can be the cause of greater pain. Foods like cucumbers, bananas and apples are great at eliminating the acid levels in one’s body. 7. If you’re pinched nerve is in your neck, upper back or shoulders, you should try using a cervical traction device. There are various models that apply various kinds of pressure to your neck and surrounding areas in order to treat your muscles and nerves. We review various different models on this site therefore browse our reviews here to find out which one is best for you! 8. If all else fails, surgery may be the option. This should only be the last resort after trying the other treatment options. It is imperative that you consult with a doctor when trying out different treatments.